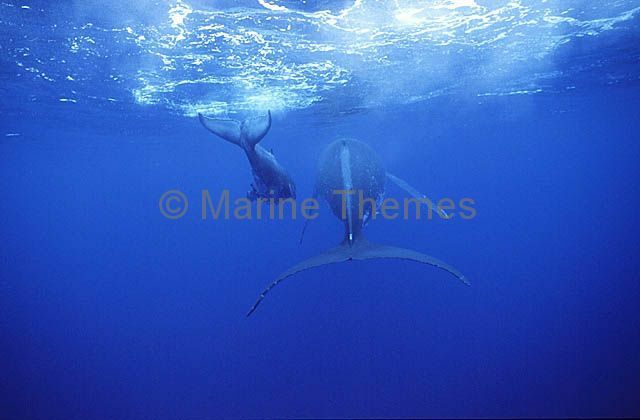 Humpback Whales (Megaptera novaeangliae) Mother and calf swimming away on the surface showing tail flukes. 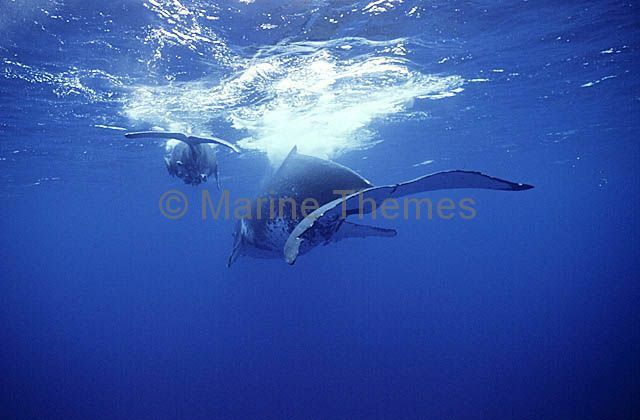 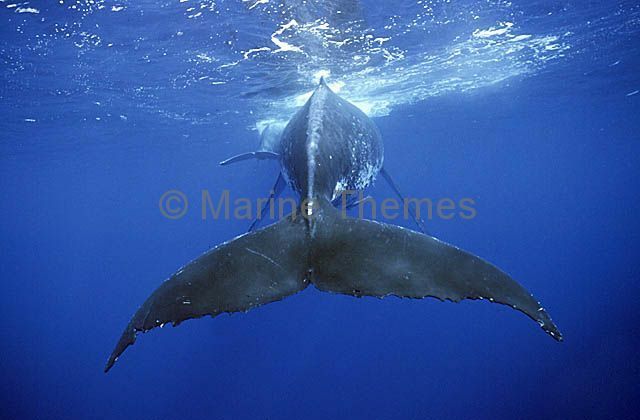 Humpback Whale (Megaptera novaeangliae) Female hanging in deep water, listening to male singers, with calf. 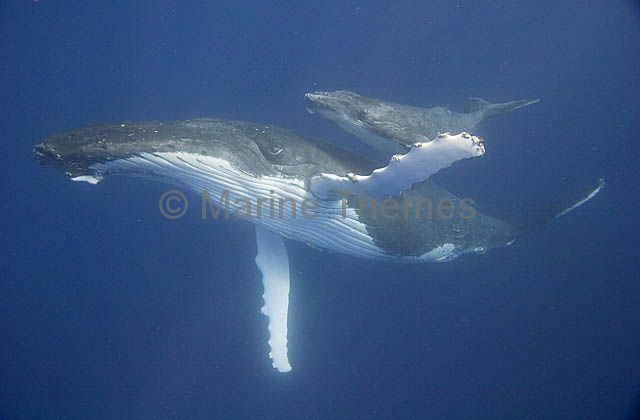 Humpback Whales (Megaptera novaeangliae) Mother with calf. 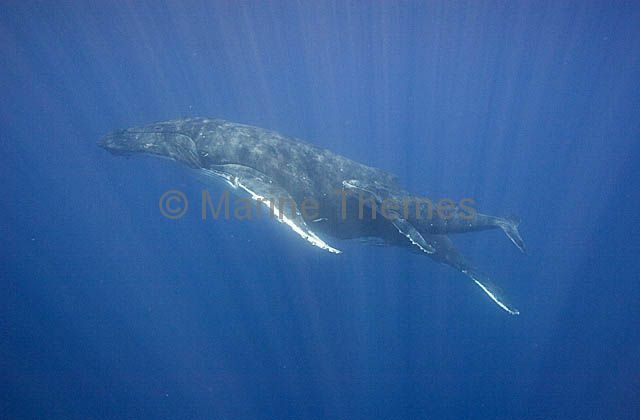 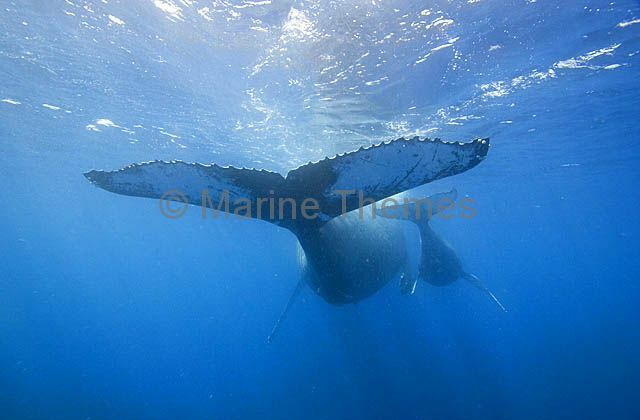 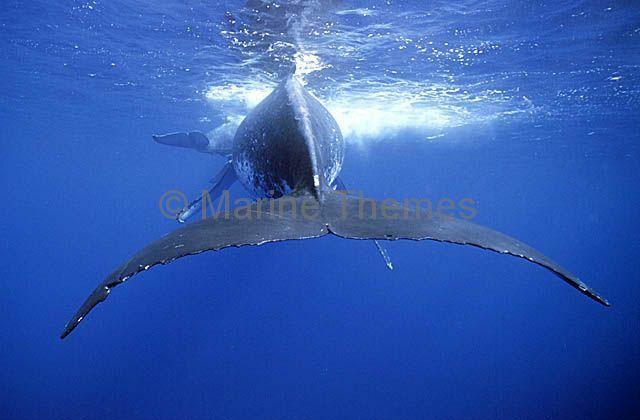 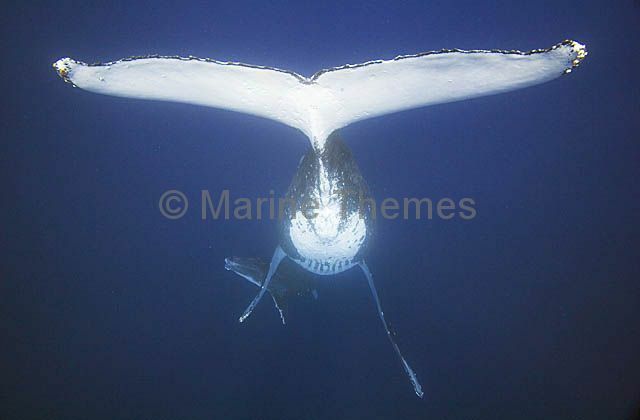 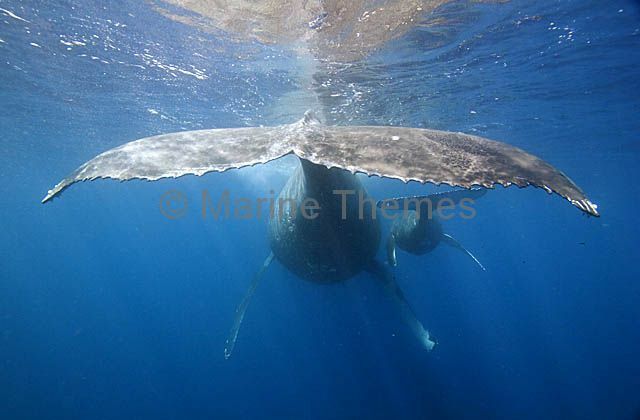 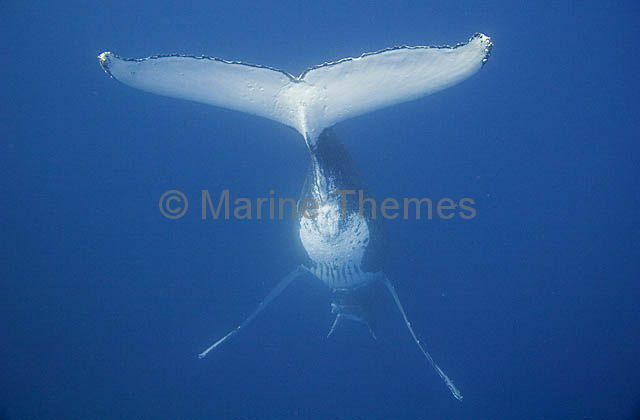 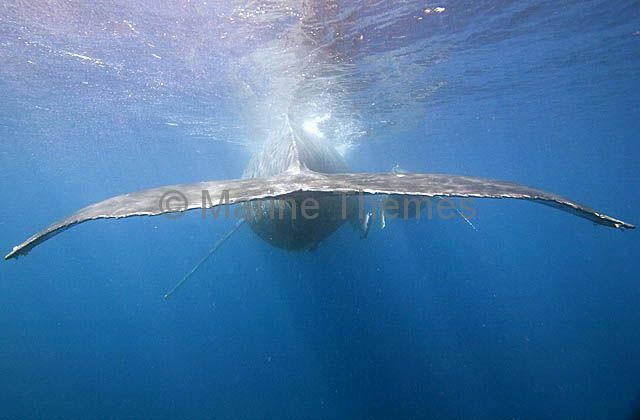 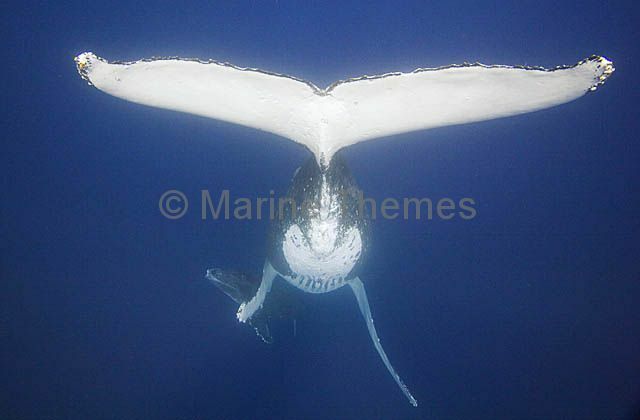 Humpback Whale (Megaptera novaeangliae) Female hanging in deep water, listening to male singers, with calf ascending. 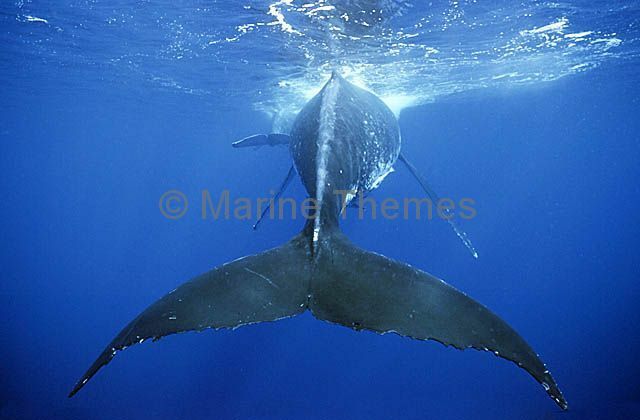 Humpback Whale (Megaptera novaeangliae) Mother with calf, rising her pectoral fin to prevent calf from leaving the safety of her back. 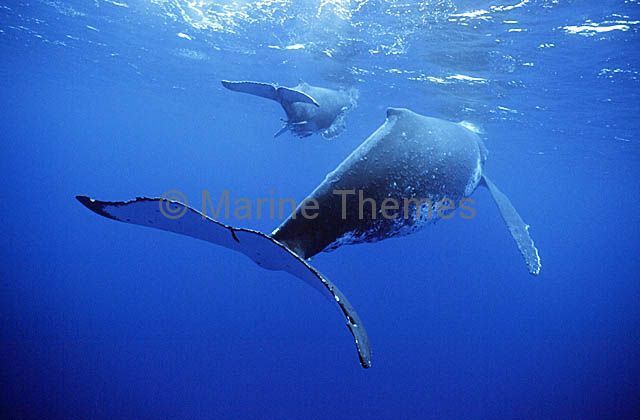 Humpback Whales (Megaptera novaeangliae) Mother and calf near the surface, traveling back into sheltered lagoon area in late afternoon. 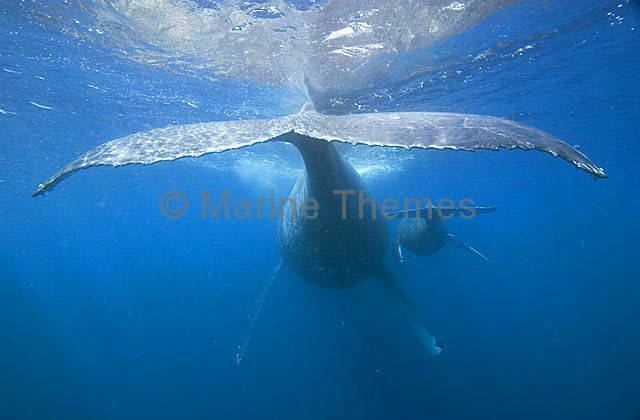 Humpback Whales (Megaptera novaeangliae) Mother and calf near the surface, traveling back into sheltered lagoon area in late afternoon. 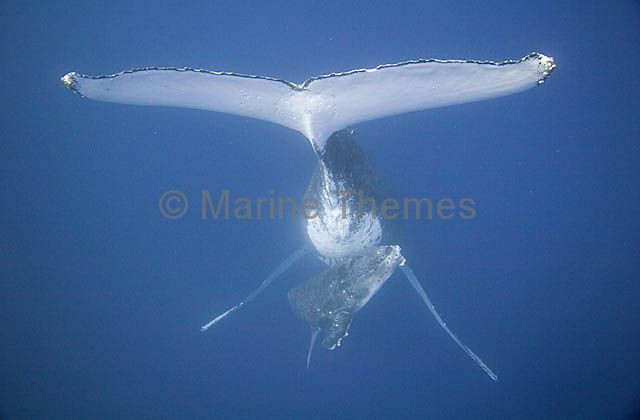 Adult mother showing distinctive crenelated trailing edge of caudal or tail fin.